15L Slant-PRO Lathe Test - Tormach Inc. The 15L Slant-PRO Automation Package was configured by Tormach’s technical experts to simplify and automate your part production. It includes the Automatic Collet Closer for 15L Slant-PRO, Deluxe Lathe Tool Starter Kit, EZ-Puller bar puller, Gang Tool Starter Kit, and Lathe Turret. The 15L Slant-PRO Lathe Tool Room Package was configured by Tormach’s technical experts for new or expanding shops in mind. 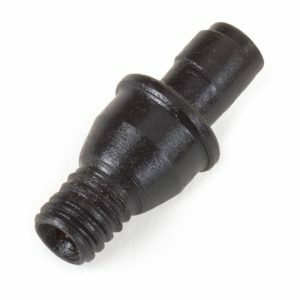 It includes the most popular options and accessories, such as a Quick Change tool post and other options. The 15L Slant-PRO Gang Turn Package was configured by Tormach’s technical experts for production-level machinists looking to add more accurate and repeatable tool changes to small parts production. 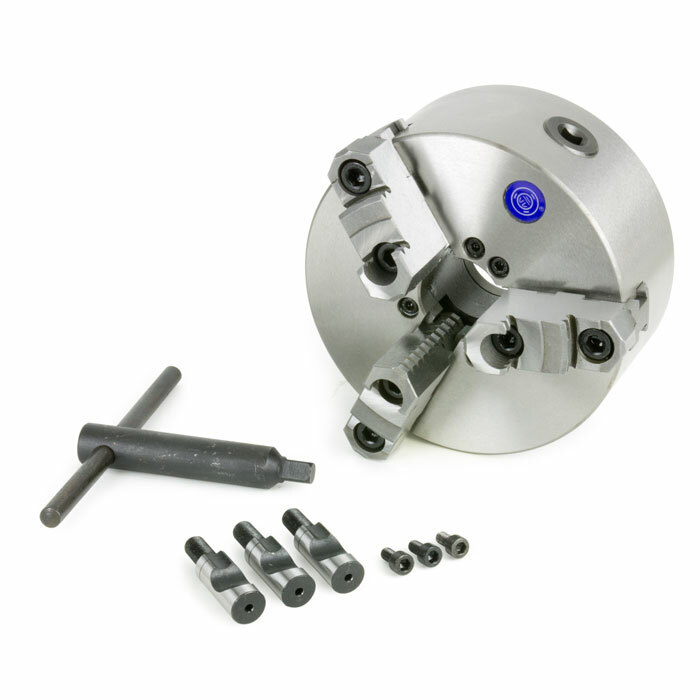 It includes the comprehensive Gang Tool Starter Kit, a 5C collet closer and other necessities for gang toolholding. The 15L Slant-PRO Lathe Turret Package was configured by Tormach’s technical experts for shop gearing up to add automated manufacturing. It includes an 8-station turret, a full enclosure, and other necessities for turret toolholding systems, such as a coolant nozzle designed for turrets. The 15L Slant-PRO Education Package was configured by Tormach’s technical experts with career development and classroom settings in mind. It includes a variety of tools needed to foster an educational environment, such as the Quick Change Tool Post Kit, and a full enclosure. The 15L Slant-PRO Deluxe Education Package was configured by Tormach’s technical experts for career development and classroom settings in mind with programs ready to invest in the future of its students. It includes an expanded set of tools needed to foster an educational environment, such as an 8-station turret, and a full enclosure. 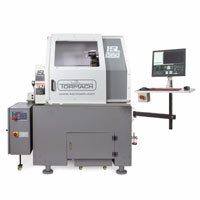 The Tormach 15L Slant-PRO® is a compact slant bed CNC Lathe designed for prototyping and specialty manufacturing of turned parts. The 15L Slant-PRO® is loaded with features and options, including standard conversational control, rigid tapping, and configurable tooling and work holding. 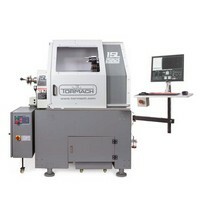 The Tormach 15L Slant-PRO® is a compact CNC slant-bed lathe designed for prototyping and light production work. 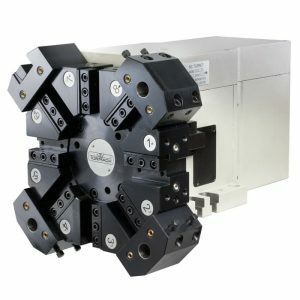 With highly customizable workholding, rigid tapping support, and a host of configurable options and upgrades, the Tormach 15L Slant-Pro is a multipurpose CNC lathe for the small shop. Typical System Weight: 1800 lbs. The 15L Slant-PRO® CNC Lathe can accommodate workholdings of various sizes due to its 5C collet taper insert and accessories, which are compatible with all lathes, but designed specifically with the 15L Slant-PRO® in mind. This includes both headstock and tailstock options. 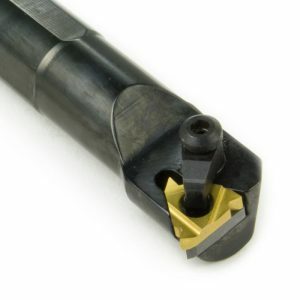 5C Collet: With the 5C collet chuck taper insert secured in the spindle with the 5C lever closer, the lathe features all the convenience, strength, and precision associated with the chuck, whether you’re woodworking or metalworking. 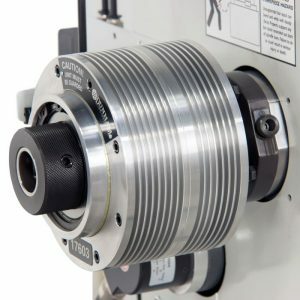 D1 Workholding: Easily remove the taper insert and the lathe becomes compatible with D1 workholding, including direct mount chuck and jaw sets. 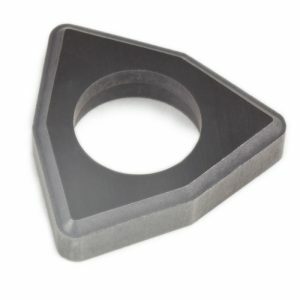 This ability to maintain precision while turning larger-diameter pieces – whether they be square or circular – is crucial. 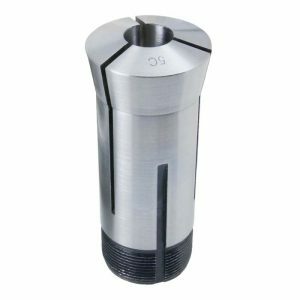 Cutting tools for the 15L Slant-PRO CNC Lathe can be secured in the tool holders and holding systems designed for the Tormach lathe, such as with a quick change post, gang block system, turret system or with a combination of these methods. 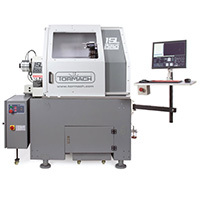 Turret-The turret system combines automation, precision, and confidence in letting a lathe run unattended, and this low-maintenance approach to turning is enticing for production-level machining. Beyond these commonly recognized benefits, other perks of turret systems include increased flexibility and easier programming. Since the turret can be mounted higher on the lathe carriage, longer workpieces can be turned using the turret system, in conjunction with a tailstock to ensure accuracy. The workpieces can also have wider diameter, since most tools will be secured to the turret instead of the carriage, creating more clearance. With a turret system housing many the tools, programming is generally easier since you no longer have to worry about accidentally hitting the workpiece against tools or having enough space between tools for turning. Gang – Gang set up is quick, requiring a simple securing of the gang block in the carriage T-slots, and then selecting and securing the tools. While turning, the gang option is also quicker than turret or quick change since the carriage sides to change tools, instead of indexing or manual tool changing, which can add extra minutes to a job. This also adds to accuracy. 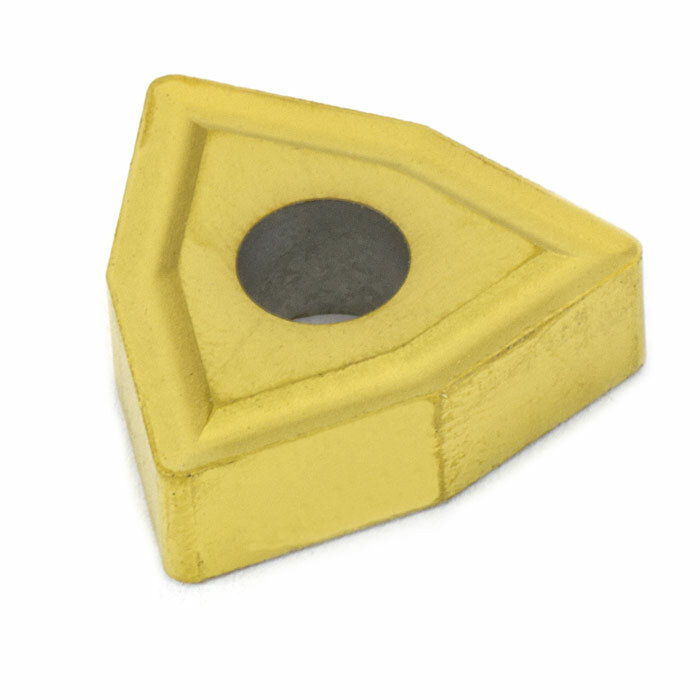 Once a gang block is shimmed into place, its sturdy design leaves little room for tool deviation, making it the go-to option for turning small workpieces demanding the utmost precision. 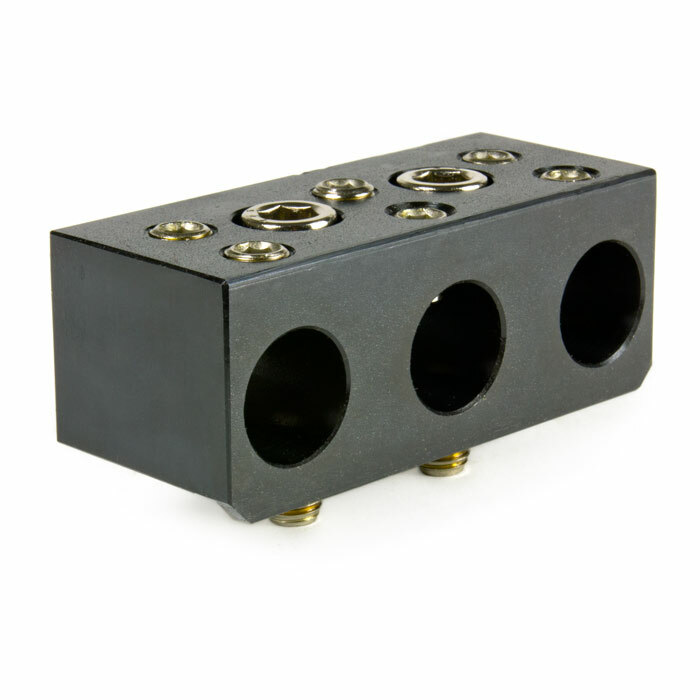 The simplicity associated with gang tooling is critical to why it’s chosen by machinists; it’s approachable, easy to set up, and accurate. Quick Change- The obvious benefit to quick change tool posts is in the name – they’re quick. 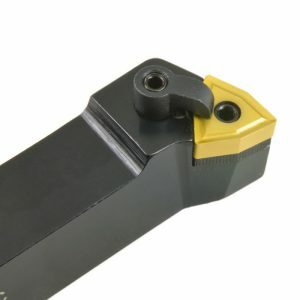 After the Quick Change Tool Post is secured to the carriage, which only takes a few minutes, the tools, secured in the tool holders, can be inserted and removed in seconds with a simple lever crank. 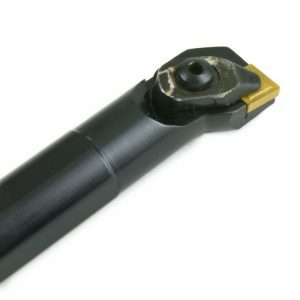 Another key feature of this toolholding option is the versatility and flexibility Quick Change Tool Posts offer machinists, which can be just as important for various applications. Tormach offers a variety of lathe tooling, which can be used with any of the toolholding systems designed for the 15L Slant-PRO CNC Lathe. 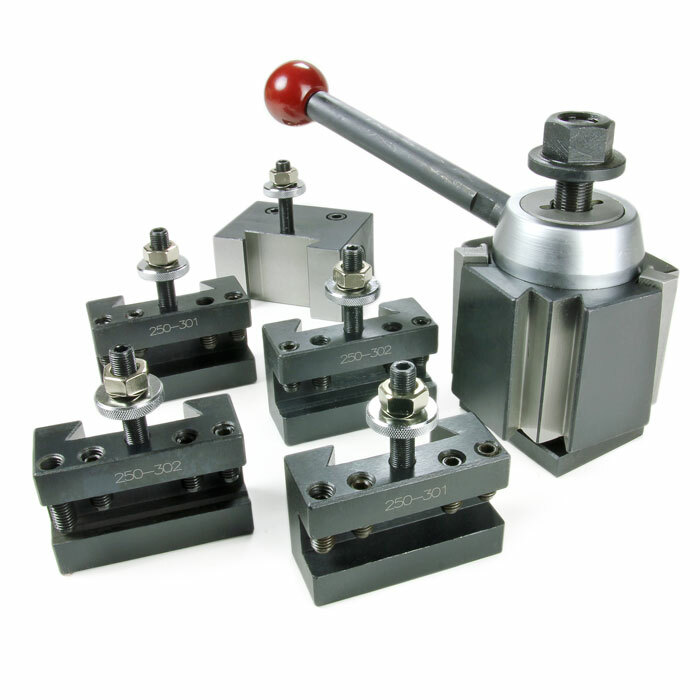 These tools, which are designed to securely hold inserts, include external turning tools, boring bars, threading tools, and parting tools. 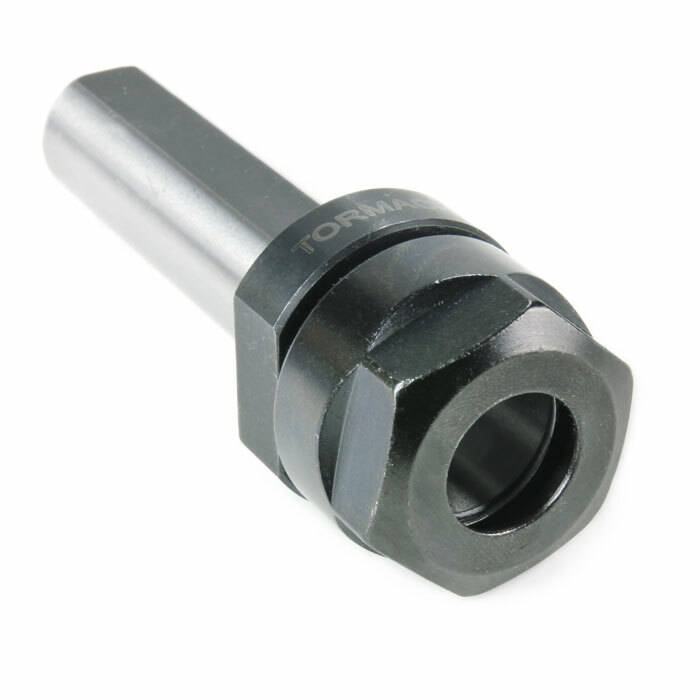 Tormach also offers accessories to for these tools, such as holemaking tool collet chucks, shim seats, screws, and clamps. 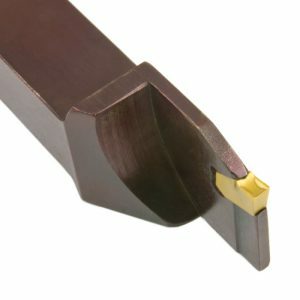 Tormach offers a variety of lathe cutting tools, which can be used with any of the toolholding system designed for the 15L Slant-PRO CNC Lathe. 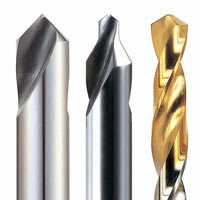 These options include drills, taps, and lathe inserts for turning tools. 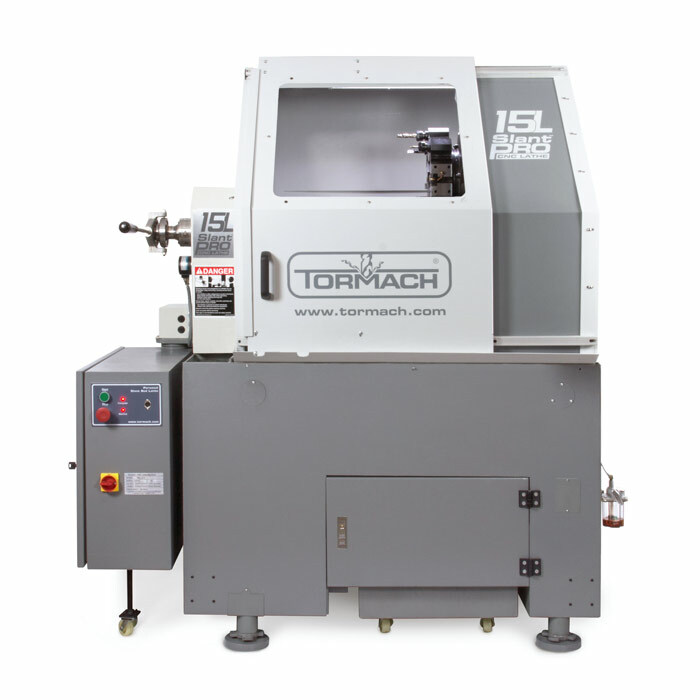 The Tormach 15L Slant-PRO is a compact CNC slant-bed lathe designed for prototyping and light production work, and, for customers who know what they need, Tormach offers la carte purchasing option. Build the perfect lathe for your particular need with a wide array of upgrades and accessories. Looking For Help With Your 15L Slant- PRO® Lathe? Visit the Tormach Support Site to find Manuals, Technical Documents, Datasheets, Service Bulletins,The Knowledge Base and Troubleshooting Guides. 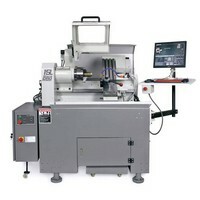 What are the dimensions/footprint of the 15L Slant-PRO Lathe? 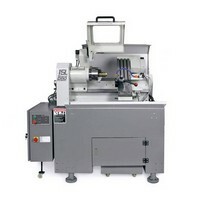 The 15L Slant-PRO Lathe with the Chuck Guard open is 58″ x 38″ x 75″ – with Full Enclosure door open it is 61″ x 42″ x 66″. Check our Document Library for PDF drawings of the machine dimensions. How loud is the Tormach 15L Slant-PRO Lathe? There has never been an official decibel reading done on the machines because the sound level we hear may not be the sound level you hear. There are too many factors that determine sound: use of enclosure, material being cut, speeds, feeds, depths of cut, size of room, etc. What motion control is used on the Tormach Lathe? 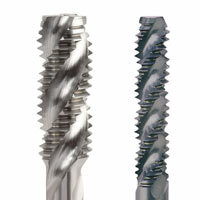 Tormach Mills and Lathes alike run on PathPilot – The Next Generation of Tormach Motion Control. 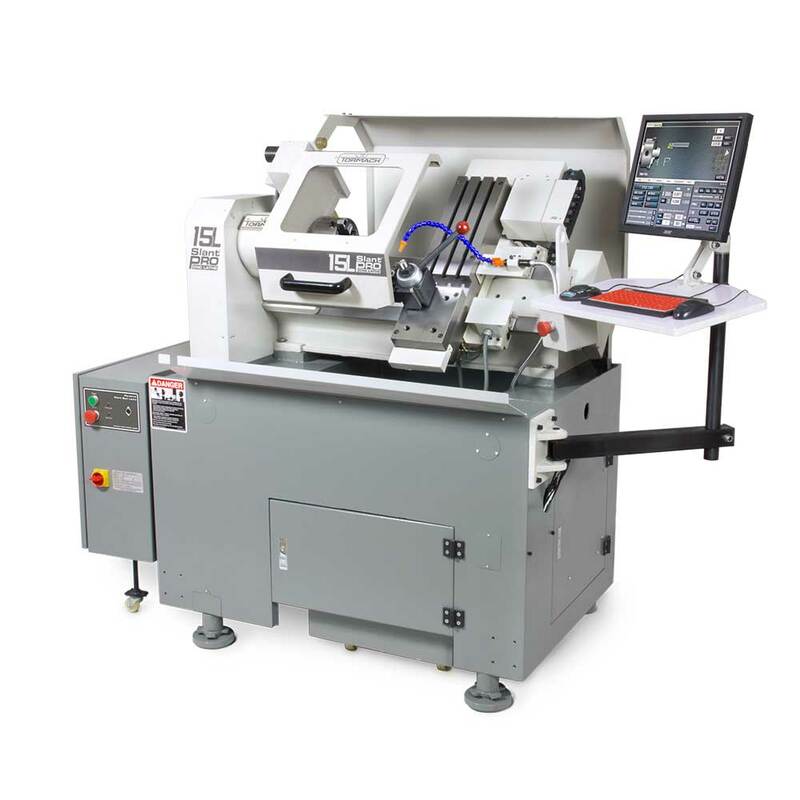 What does the 15L Slant-PRO Lathe installation entail? Please take a look at our Installation Overview and Lifting Kit videos in our video library.